The lighthouse is at the southeast end of Fayerweather Island, connected by a mile long jetty from Seaside Park. Public access is allowed for a park fee. 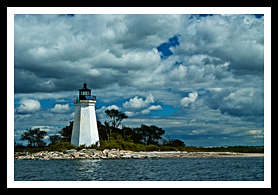 Black Rock Harbor is sheltered by Fayerweather Island, which made the island an ideal place for a lighthouse to mark the harbor entrance in 1808. The first Keeper, John Maltbie was only at the lighthouse for five months until his death at the station. The lighthouse was destroyed in the 1821 hurricane, and replaced in 1823. The 47-foot stone tower has since survived for over 180 years. 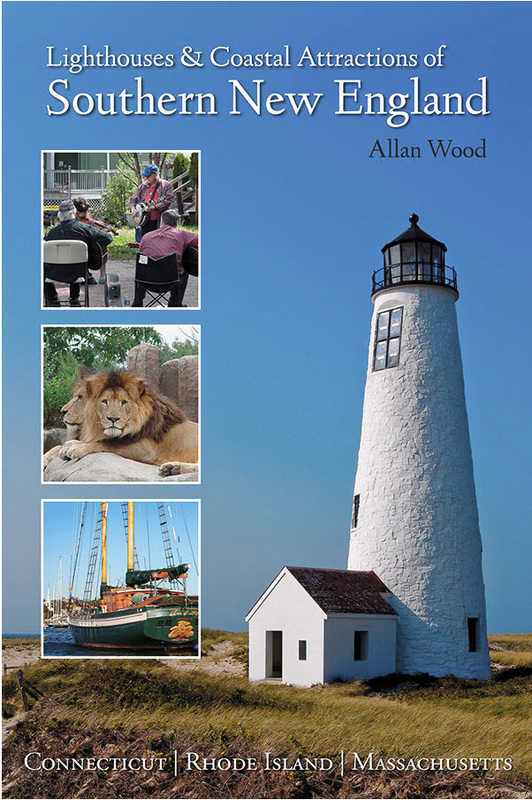 The lighthouse was tended predominantly by two generations of the Moore family for over 70 years. Catherine Moore, daughter of Keeper Stephen Moore, took over full duties of the lighthouse when her father became disabled in 1819. 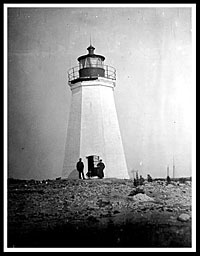 Her father still remained the official Keeper until 1871 while Catherine remained as his assistant to tend the lighthouse until his death at the age of 100. Catherine Moore was appointed Keeper to secede him when she was 66 years old, and remained at the station for an additional 7 years where she is credited for saving 21 lives in the total 62 years she spent tending the light for her father and as Keeper. She lived to be 105 years old. In 1998, two Bridgeport natives, David Grant Grimshaw and Patricia Roche, restored the tower to its original condition with their fundraising efforts. The city of Bridgeport offers plenty of diverse cultural events and rich history. The Barnum Museum is home of the world-famous circus impresario of the 19th century, PT Barnum. Visitors can also find the graves of P. T. (Phineas Taylor) Barnum, famous circus owner, and his famous circus performer, Tom Thumb (Charles Stratton) in Mountain Grove Cemetery. P.T. Barnum designed the cemetery for Bridgeport natives, himself, and Tom Thumb. He had Tom Thumb’s life size statue of 25 inches placed on a 40-foot granite obelisk. Bridgeport provides visitors with a new sports and entertainment complex called the Webster Bank Arena at Harbor Yard, with events happening year round, and the Shoreline Star, which provides greyhound and horse racing. The Downtown Cabaret Theater offers plenty of musical and theater events for all ages all year round. You can also bring your own food creations and have an indoor picnic as you enjoy the show. The Beardsley Zoo offers fun for children and adults alike. 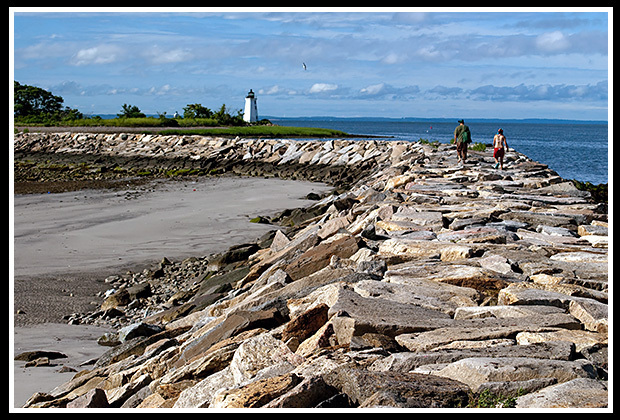 Black Rock Harbor (Fayerweather Island) Light, is connected by a mile-long breakwater from inside Seaside Park. The parking fees to stay at the beach are a bit steep but the beach area is quite nice. It provides scenic views of the area with the beach area and park well maintained. From US Route I-95 South, take Exit 27 Lafayette Boulevard. Take Univ. of Bridgeport/Trans. Center ramp. From US Route I-95 North, take Exit 27 Lafayette Boulevard. Turn right onto Myrtle Avenue. Turn right onto Railroad Avenue. Turn left onto Park Avenue 0.4 miles. Take right at South Ave onto P.T. Barnum Blvd to a parking area at the end of the beach. Leave a note of your intentions on your windshield to view the lighthouse (off season visits are easiest). Its a short walk along the breakwater to the lighthouse.